There are certain signs in our life that prompt us to act and chart a new path. 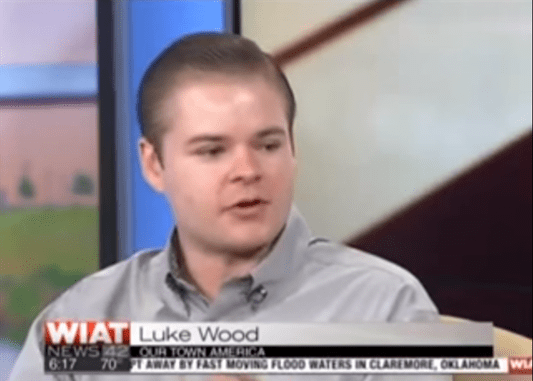 Luke Wood’s path to owning his Our Town America franchisee in hindsight, seems like a no brainer. “I pursued becoming an entrepreneur when I knew I was going to be let go,” said Wood, the owner of the Our Town America franchise in Birmingham, Alabama. Wood is thriving with Our Town America, the nation’s fastest growing New Mover Marketing franchise, and is not looking back on his previous experiences (check him out on local TV here). However, it’s his past that is fueling his successful run helping introduce new Birmingham residents to a variety of reputable and convenient businesses that can result in long-term relationships. Those previous experiences include a couple of sales based gigs, including working as an inside sales representative for a company that sold raw materials that produced signage. “I wasn’t happy there,” says Wood. “I knew what I wanted out of life and that job certainly wasn’t it.” With the writing on the wall, Wood knew he needed something to pay the bills. Instead of filling out another employment application, Wood determined it was time to strike out on his own. With words of wisdom from his mother and his father (an entrepreneur himself), Wood determined Our Town of America was a perfect match. “It truly sounded like a great idea,” Says. Wood. “There was low overhead, no real estate involved, and Our Town America’s business model aligned perfectly with my principles.” Those principles include being self-motivated, disciplined and willing to put in the work to create a successful environment. Wood isn’t shy about why he is in business for himself. He wants to make money. And he says Our Town America is the vehicle that is driving him to his destination. “I would like for my investment accounts to increase drastically, so in two years I would like to have at least two more streams of income,” says Wood. And he knows that he only gets out what he puts in. Do you want to realize your own business ownership dreams, like Luke Wood? Does the Our Town America franchise opportunity sound like it could be for you? If so, learn more at https://www.ourtownamerica.com/franchise-us/.